Steve Cook's stoppage-time header handed Bournemouth a 1-0 victory at Newcastle after Dwight Gayle saw a first-half strike controversially chalked off. Defender Cook powered home from a corner in the second added minute to hand Eddie Howe's visitors a third Premier League win of the season. However, the bulk of a crowd of 52,237 left St James' Park firmly believing Gayle's 16th-minute strike should have stood, with television replay suggesting they may have had a point. Irked by suggestions that his team are boring, Magpies boss Rafael Benitez had launched a passionate defence in the run-up to the game by insisting they are organised rather than negative. It was with some surprise then that his selection saw him opt to start last season's leading scorer Gayle alongside Joselu, who has been employed as a lone frontman since his summer arrival on Tyneside. But for that offside decision, the woodwork, the excellence of goalkeeper Asmir Begovic and the bravery of defender Cook, the Spanish manager would have been richly rewarded for his bold approach inside the opening 45 minutes. Begovic just managed to get his fingertips to Matt Ritchie's stinging fifth-minute strike and then clawed Christian Atsu's effort out of the top corner nine minutes later. When he was finally beaten by Ritchie's 16th-minute effort, the ball came back off the post and Gayle was harshly adjudged to have been offside when he tapped home the rebound. Cook was also in stubborn mood, blocking goal-bound efforts from both Atsu and Gayle with his chest as the Magpies continued to threaten. Newcastle goalkeeper Rob Elliot tipped over a 35th-minute header from Callum Wilson, who was making his first league start since January, and then repelled Josh King's well-struck effort at his near post two minutes later. He had just Elliot to beat but fired into the side-netting. 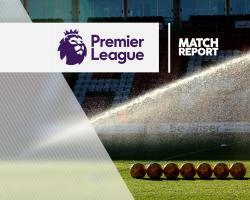 Newcastle lacked fluency and accuracy as they tried to regain their momentum, with Bournemouth's menace on the break growing, and a diving Elliot had to pluck a firm Marc Pugh header out of the air from King's cross. Home substitute Ciaran Clark headed over from a Jonjo Shelvey corner, and Javier Manquillo was floored when he blocked Jordon Ibe's piledriver as play moved swiftly from end to end. Clark saved the home side when he produced a fine block and clearance after Pugh had wormed his way into the box and looked certain to score, and Elliot had to beat away a Jermain Defoe shot.